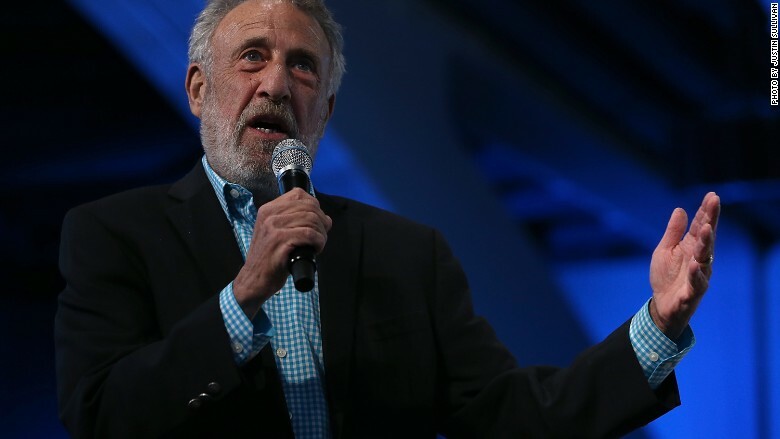 George Zimmer, the former face of Men's Wearhouse, has launched a new company: zTailors. George Zimmer, the fashionable curmudgeon who founded and lost Men's Wearhouse, is back. Zimmer, the greybearded businessman who famously declared in commercials: "You'll like the way you look, I guarantee it," has launched a new Uber-style tailor service called zTailors. "I'm doing my best to create a second act," said Zimmer, in a phone interview with CNNMoney. In his new avatar, Zimmer is running an online marketplace for tailors. Customers can set up appointments with local tailors via the zTailors web site or app. The tailors then connect with customers for measurements and fittings for their orders. Zimmer quietly started the company, where he serves as chairman, in Oakland, Calif., last summer and is launching it nationwide, starting this summer. You can still hear Zimmer's gravelly voice in a Youtube ad for his new business, declaring that "zTailors is bringing game changing technology to preserve the legacy of fine old world tailoring." He still sports his signature gray beard, but he's not wearing a suit, nor does he end the ad with the catch phrase: "I guarantee it." Zimmer is looking for one now. "We do not have a slogan as of now but we are playing with a number of different slogans," he said. "We're trying to be as different as we possibly can from my former employers. That's why you'll see me without a suit on." Zimmer also is a big fan and user of Uber. Just like Uber, the zTailors run their independent businesses. zTailors screens the tailors by running criminal background checks and requires that they have at least five years of experience. The tailors have to agree to standardized pricing for their services: $20 for tapering the sides of a shirt, $25 for hemming a dress or $50 for removing pleats from pants. The company has also partnered with department store chains like Macy's (M) and Bloomingdale's. Zimmer was looking for a new gig after getting forced out from the company he founded more than 40 years ago. Men's Wearhouse (MW) fired Zimmer in 2013 from his executive chairman position because he wanted to sell the company to an investment group. The board of directors at the time said that the move would have forced the company "to take on a huge amount of debt." The board claimed that Zimmer refused to work with executives "unless they acquiesced to his demands." He shot back with a letter about his "growing concerns with board decisions." But with a company stake of less than 4%, he lacked the clout to get his way.